ASX listed mobile AI gaming company Animoca Brands Limited has appointed Michael Ephraim as head of partnerships for Australia and New Zealand. 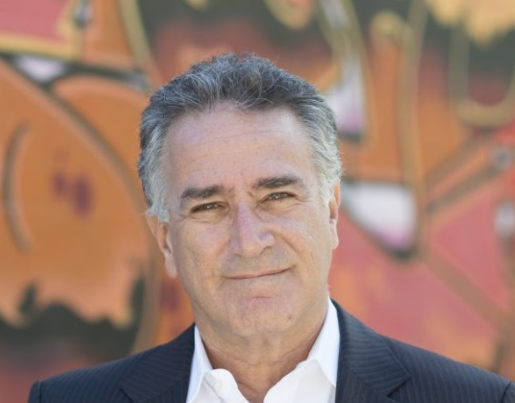 Animoca Brands Corporation Limited (ASX: AB1, “the Company”) is pleased to advise that Australian gaming industry veteran Michael Ephraim has been appointed as its head of partnerships for Australia and New Zealand. Mr Ephraim is a leading figure in the gaming industry. He was the managing director and vice president of Sony Computer Entertainment in Australia and New Zealand and was part of Sony’s senior management team in Europe for over 22 years. During his time at Sony, Mr Ephraim restructured the Australian division of the organisation to drive the growth of digital games and video distribution. He devised strategy and positioned the Sony PlayStation as a total digital home entertainment solution by incorporating local services such as Stan, Foxtel Play, ABC iView, and SBS Ondemand, among others. League (AFL), the Football Federation Australia (FFA), and Perisher Valley Ski Resort. Mr Ephraim was also vice chairman of the Video Game Committee of the Australian Visual Software Distributors Association (AVSDA), and helped to establish the standalone Interactive Entertainment Association of Australia (IEAA), which today is known as the Interactive Games & Entertainment Association (IGEA). He was president for the first seven years of the association and remained a board member until his departure from Sony. Mr Ephraim was also the chairman of Showdown, a producer of esport tournaments and exclusive distributor for Twitch media in Australia and New Zealand. He was responsible for driving the growth and strategic direction of the Showdown business, as well as the company’s esports division, Throwdown. Consumer spending on video games in Australia was reported to be $3.23 billion in 2017, a nine percent growth on the previous year (source: IGEA, 2018). As head of partnerships for Australia and New Zealand, Mr Ephraim will assist in building Animoca Brands’ profile and partnerships in the region. Mr Ephraim will leverage his extensive network to provide the Company with access to the top sporting organisations and game companies in the region, raise the Company’s media profile, and develop business opportunities. Mr Ephraim became a shareholder in Animoca Brands when he participated in the Company’s most recent share placement (see ASX announcement of 4 April 2019). Wonderful appointment. Michael has amazing experience, contacts and most importantly, passion. He will be an incredible asset and bring a lot to this new role.